Virginia state senators quietly met with FBI officials for a private briefing on how not to run afoul of federal corruption laws shortly after a jury found former Gov. Bob McDonnell guilty of selling the influence of his office, lawmakers told The Associated Press this week. Senate Democratic Leader Richard L. Saslaw said Wednesday that leaders from both party caucuses helped organize a meeting with FBI officials to ask questions about federal law shortly after the conviction. Saslaw said each caucus met separately with the FBI, but he declined to provide details about the Capitol meeting with his caucus because he said it was a closed session. Saslaw said that he thought the FBI's presentation was helpful and that his members asked several questions. "It explained to us what's kosher and what's not," he said. The former Republican governor and his wife, Maureen, were convicted in early September of accepting more than $165,000 in gifts and loans from former Star Scientific Inc. CEO Jonnie Williams in exchange for promoting his company's dietary supplements. Their sentencing is set for Jan 6. 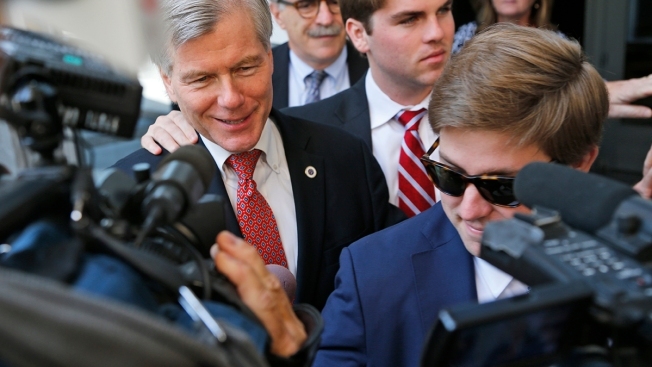 While garnering national attention with its soap opera-like details of marital discord, the McDonnell trial also highlighted the yawning gulf between what a federal jury thinks is acceptable behavior for a public official versus what Virginia law allows. In the wake of the conviction, lawmakers of both parties and Democratic Gov. Terry McAuliffe have promised substantive changes to Virginia's ethics laws to tighten restrictions. Democratic Sen. Chap Petersen said much of the FBI briefing focused on the differences between state and federal corruption statues. "Federal law, as we've seen, is a lot more open-ended," Petersen said. Matthew Moran, a spokesman for House Speaker William J. Howell, said House Republican leaders found out about the Senate briefings and thought they were a good idea. Moran said that House GOP leaders have sought a similar briefing but that it hasn't yet occurred because of scheduling issues. "It's obviously better to understand the law, it's clearly complicated," Moran said. Senate Republican Caucus spokesman Jeff Ryer declined to comment about the briefing. House Democratic Minority Leader David Toscano could not immediately be reached for comment on whether House Democrats had pursued a similar briefing. A spokeswoman for the FBI did not immediately respond to a request for comment. The private meetings with lawmakers stand in contrast with critical public comments some lawmakers have made about federal investigations into Virginia politicians. Saslaw, for example, vocally opposed the decision to prosecute the McDonnells. "I've seen a lot worse up here than that, OK? ... Misjudgment? Absolutely. But that's not a crime," Saslaw told the Daily Press newspaper of Newport News after the McDonnells were indicted in January. Howell has been critical of the FBI's ongoing investigating into the circumstances of Democratic Sen. Phil Puckett's resignation in June. Authorities have focused on a possible job offer to Puckett by the GOP-controlled Virginia tobacco commission at the time of his resignation. Howell also is blocking the confirmation of two recently resigned Democratic lawmakers to positions in state government. Howell said he thinks their appointments are legal but that it's "prudent to monitor" the Puckett investigation before acting. Last week, the Puckett investigation took a new twist when McAuliffe's chief of staff, Paul Reagan, apologized for potentially offering Puckett's daughter's a job if Puckett would stay in office. Reagan made the potential offer on Pucketts's voicemail, which was first reported by the Washington Post.